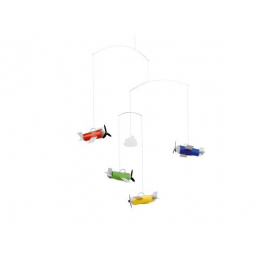 A very charming 3-dimensional mobile with aeroplanes : light and colourfull by the danish mobile specialist, Flensted. 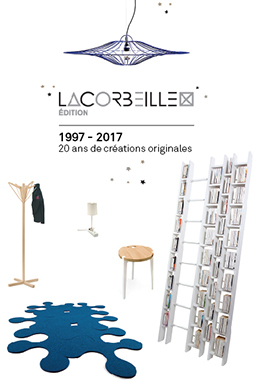 With the mobile Flying Chairs, Ole Flensted extends a greeting to Arne Jacobsen, Børge Mogensen, Finn Juhl, Poul Kjaerholm and others of the great chair makers in danish furniture design. 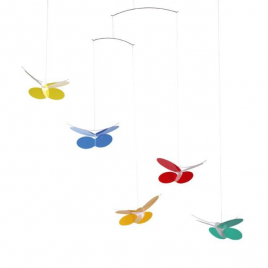 Poetic and romantic, this butterfly mobile designed by by the danish mobile specialist, Flensted, is suitable for a sun porch as well as a any child's room. 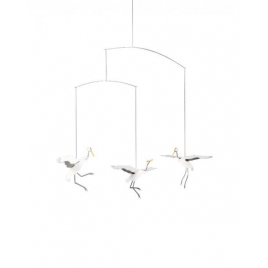 A mobile that restitutes all the symbols associated with the crane, a sacred bird and a symbol of happiness and long life. By the danish mobile specialist, Flensted. 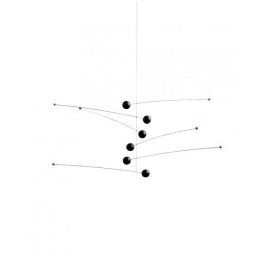 A colourful and festive balloon-mobile inspired by "Montgolfières" of the 18th century and modern hot air balloons of today, by the Danish mobile specialist, Flensted. 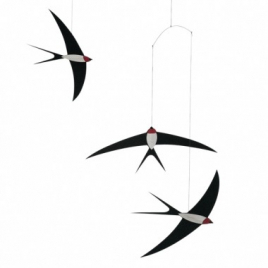 A mobile designed by the Danish mobile specialist with eight fishes that move ceaselessly, lured by the bright red worm dangling on a strange hook. 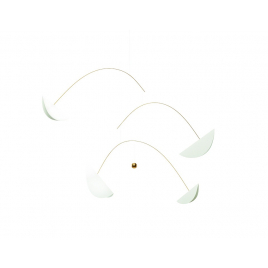 An interplay of shape and colour in movement that is perfectly suited to the contemporary interior. 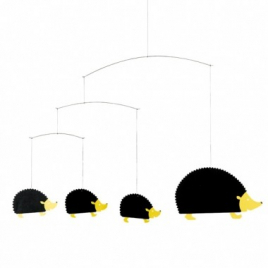 Mobile created in 1955 by Christian Flensted. 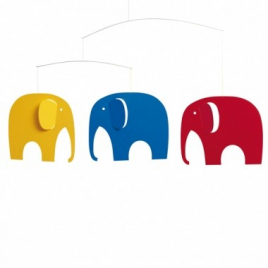 This mobile is done by three huge elephants : a red one, a yellow one, and a blue one comfortably trundling along together. 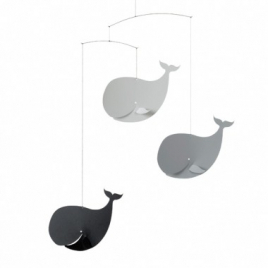 Three joyful whales in a cameo of grey will bring happiness and sweetness in the room where you will install them. 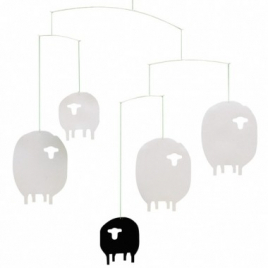 Four white sheep - and the inevitable black one - in constant motion. 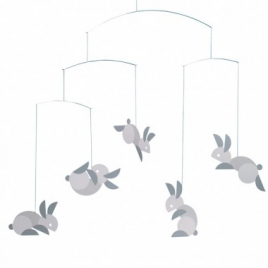 If you cannot sleep, you will definitely be sleeping 5 minutes after watching this mobile in subdued light!!! 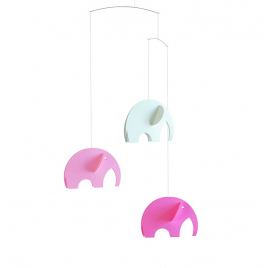 This mobile by the Danish specialist of the discipline depicts elephants in curves shapes and in pastel colors. 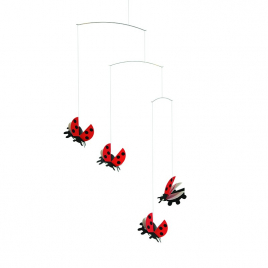 Bring a small country air in your home with this mobile featuring swirling of ladybugs! 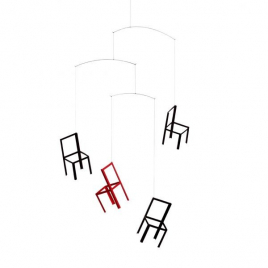 With abstract forms, this mobile brand Flensted, will allow greater benefit from the magic of the Danish mobile specialist. 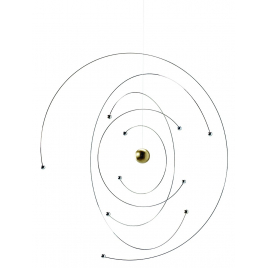 This mobile combining the purity of white and the refinement of gold will bring a touch of elegance in addition to the poetry inherent to the mobile itself. 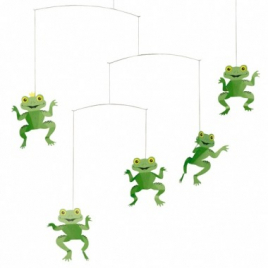 With this mobile with small green frogs in motion, it's a cheerful and colorful atmosphere guaranteed!